The ASEAN Foundation is organising its 5th ASEAN Foundation Model ASEAN Meeting 2019 (5th AFMAM 2019) in Thailand. 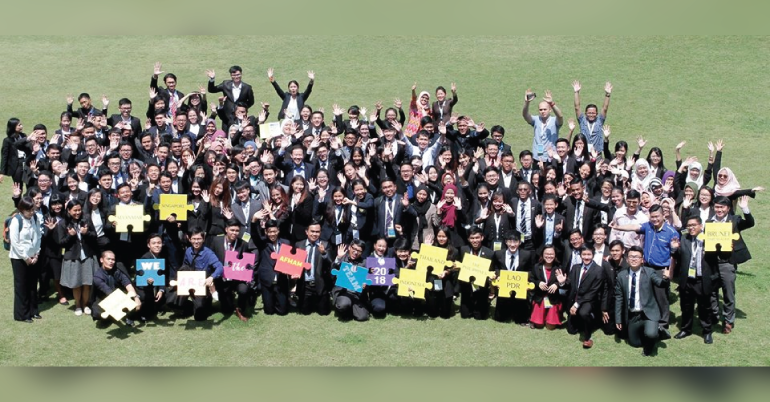 The 5th AFMAM 2019 targets students of tertiary education level from across ASEAN region to understand diplomacy and how decision makers of ASEAN Member States address regional issues at the various ASEAN meetings. For the first time, “ASEAN Plus” engagement is introduced in the AFMAM as the 5th AFMAM 2019 will involve “ASEAN Plus Australia” mechanisms. If selected, the candidates will get the opportunity to interact with their Australian fellow delegates in the simulations! The 5th AFMAM 2019 promises an authentic experience to understand ASEAN affairs and its relations with Australia in an “ASEAN Plus” framework. It is an interactive process where the students will role-play various levels of ASEAN and Australian officials engaging in various levels of meeting simulations. It will be an interesting and enjoyable experience! ASEAN interested students are required to form a team of seven that comprises six students from tertiary education level as Team Members and one faculty/academic member as Team Advisor. All must be ASEAN nationals and same nationalities in the team. The role of the advisor will be to lead and guide his/her team. He/she also has to advise and coach his/her team along with providing constructive inputs for the improvement of AFMAM. Moreover, he/she will have to allocate time to participate in two or three online preparatory coaching sessions. The 5th AFMAM 2019 will be running from 4 to 9 July 2019 in Thailand.